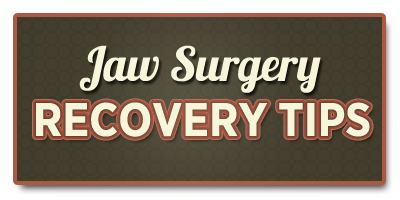 TMJ Surgery Tips - What Has Helped You Through Recovery? TMJ Surgery Tips – What Has Helped You Through Recovery? TMJ surgery can be a nerve wracking process if you are not prepared…but if you take some time to anticipate what you might need, and learn from patients who have been through it before you, we think you will feel empowered and less nervous. I have talked with many TMJ disorder patients over the years, and they have shared their tips for surgery with me. 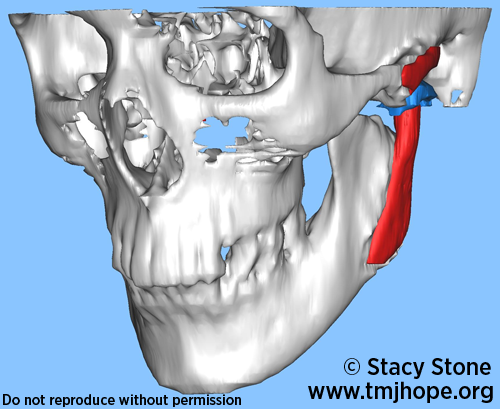 After a while, I noticed most of the advice was very similar… it didn’t matter if the patient was having a TMJ arthroplasty, arthrocentesis, or any other type of TMJ surgery. Most patients felt MUCH better and less nervous if they took the time before jaw surgery to prepare, become knowledgeable about their condition and particular procedure, go over the options, and talk with and get support from fellow patients who had been through the same thing before them. I don’t think this is unique for TMJ, it applies to any kind of surgery! Test out different types of meal replacement shakes (Ensure, Boost), or protein powders *before surgery so that you know which ones you like the most. Purchase supportive pillows to keep yourself comfortable in bed. Everyone is different, but the most mentioned pillows are back wedges, neck supports, and regular pillows to put on either side of you to support your arms while you need to be laying upright. Set up your bed area and nightstands or couch so that you do not need to bend over, get up, or move around to find things when you are recovering. Get your prescriptions filled before the surgery. Depending on what your doctor recommends, a child sized toothbrush or water-pik could be useful if you cannot open your mouth very wide. Stock up on your favorite frozen veggies to make moldable ice packs (we like frozen peas or corn). Buy pajamas that do not have to be put on over your head. Robes are also convenient if you get hot or cold easily, or if you will be having visitors in the hospital. Barefoot Dreams CozyChic Robes are SO soft, they are my favorites & the ones I always give as gifts. Click below for more tips and to share your tips! Consider downloading movies online, using a free TV/movie streaming service like Hulu, or buying a subscription to Netflix to pass the time. Chances are that in the first few days it will just be background noise while you rest…but if you have a family member staying with you, they could probably use the entertainment. Netbooks or small laptops you can use easier in bed so that you can stay in touch with your friends here at TMJ Hope! Consider buying a shower chair, bench, or even a plastic lawn chair to put in the shower so that you do not have to stand when you are exhausted and uneasy on your feet. Animals and children may be difficult to take care of in the first few days after surgery. See if they can go to Grandma’s to visit! Whether you will be having a TMJ arthrocentesis, arthroscopy, arthroplasty, or even a total joint replacement, hopefully these tips will help you recover much easier! Remember that TMJ Hope has a wealth of knowledge from people who have been through it. No matter how silly you may feel the question is, please ask it. You never know if the next person may have the exact same questions (or the answer!). Do you have any tips to share that helped you get through jaw surgery?